M/M, FBI agents, partners... 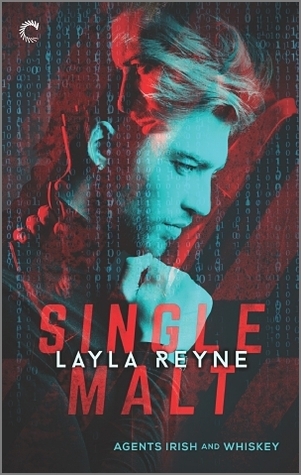 Single Malt reminds me very much of Cut & Run series, though the characters and the tone of the story is very much different. Aidan Talley, 42, the Irish is a widower, who still grieving for his late husband and his FBI partner who died in an accident. Now he is ready to be back to his job to find that not only he had a new attractive partner, there might be also something more to the accident that was ruled as hit and run. Jameson Walker, 30, ex-basketball star, current FBI computer expert loves working in his cave to avoid the limelight that used to haunt him. Now that he got himself a new partner, someone he had a serious crush on, is time for him to work in the field and prove his worth. Grieving hero, especially one that is grieving for their lover is the bane of my existence. I wonder why can't they just give him a dead sibling if they want him to mope around and plotting revenge. As expected, there are moments of guilt trip whenever Aidan experience attraction towards Jamie, but I like the sexual tension going on. Anyway, this book is more heavy on the suspense, which is full of investigative procedure that I do not want to elaborate on. Sometimes my head spins trying to put everything together. The romance is taking a back seat, but we have something to hang on to while they build up their foundation. I do find them a bit too touchy feely for colleagues and the endearment thrown in towards the end doesn't seems very fitting. Overall, for fans who would enjoy and appreciate a more heavy investigative plot might like this one.